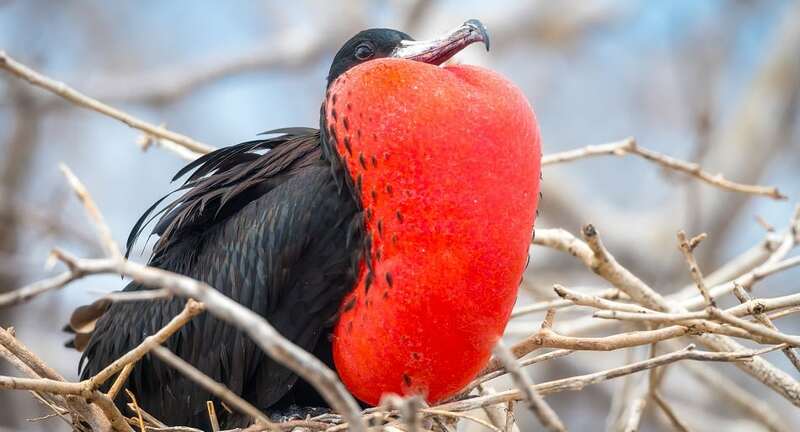 The males have a red “Gular pouch” that is inflated during the breeding season. They sit in groups with their throat sacs inflated, clattering their bills, waving their heads and quivering their wings. They have been known to live to 30 years old.